The flavor of Knudsen’s cottage cheese I purchased was pineapple. Both flavors complement each other in a refreshing sweet way. This was my first time tasting Knudsen’s cottage cheese with any type of fruit. I was surprised to have enjoyed both flavors combined. Without a doubt, my next flavor of Cottage Cheese Double will be peach. My only suggestion would be adding a bigger portion of fruit. It’s a great size for a grab and go snack. It would be very fast and easy to add in to my lunch bag. Maritza on The Benefits of Cottage Cheese. . . I think cottage cheese has a lot of great health benefits. In my personal opinion, I consider calcium and protein important and it’s great to have a snack that is healthy. 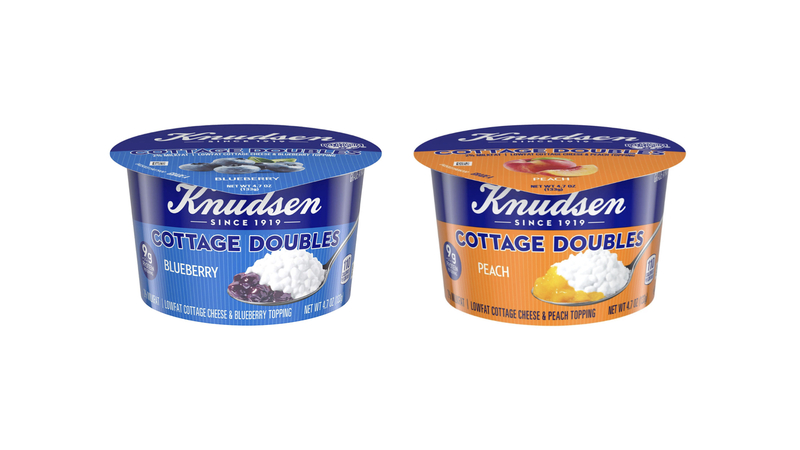 Great, healthy snack on the go: no other way to go but with Knudsen’s Cottage Doubles.